How much is Marc Mezvinsky Worth? Marc Mezvinsky net worth: Marc Mezvinsky is an investment banker who has a net worth of $15 million. Marc Mezvinsky earned his net worth as an investment banker at the New York-based firm Goldman Sachs and while working at the New York hedge fund company, 3G Capital. Mezvinsky was born December 15, 1977, to Marjorie Margolies-Mezvinsky, who would later become a Pennsylvania Democratic Congresswoman, and former Iowa Democratic Congressman, Edward Mezvinsky. He grew up in a 15-room home in Philadelphia's tony Main Line neighborhood in a blended family that contained 11 children, a mix of both stepchildren and adopted children of the Mezvinskys. He was raised in the Conservative Jewish family and was surrounded by politics growing up. The Clintons and Mezvinskys were family friends in the 1990s and their children met on a weekend Democratic political retreat in Hilton Head Island, South Carolina. Mezvinsky attended Stanford and majored in finance; he was by all accounts a serious student. 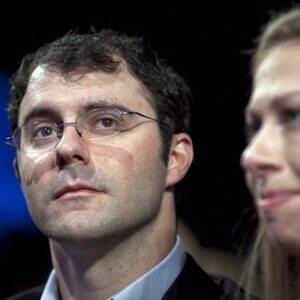 Mezvinsky and Chelsea Clinton were close friends while he was attending Stanford and it remains unclear if the couple's relationship started at Stanford before they formerly announced that they were a together in 2005. 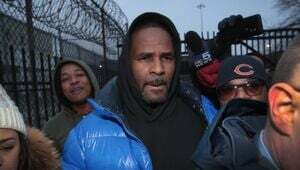 In 2008, during the financial crisis, he purchased a 2,000 square foot apartment on Fifth Avenue in the Flatiron district of Manhattan for $3.8 million. 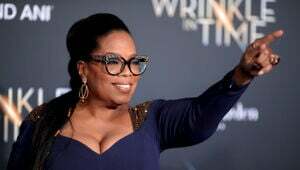 He toured the apartment with his then girlfriend, Chelsea Clinton, and decided on that property after looking at a host of properties in the area. The couple became engaged over Thanksgiving weekend in 2009 and after the honeymoon, they settled in New York City's Gramercy Park neighborhood. In 2010, he married Chelsea Clinton, daughter of former U.S. President, Bill Clinton and U.S. Secretary of State, HillaryRodham Clinton. They were married in an interfaith ceremony (Mezvinsky is Jewish and Clinton is Methodist) in Rhinebeck, New York and the wedding was held at Astor Courts, an estate overlooking the Hudson River, at the home of Kathleen Hammer, who was once a producer at Oxygen Media. In March of 2013 they purchased a $10.5 million condominium on Madison Square Park in the Flatiron District of Manhattan. On April 17, 2014, Clinton announced at a New York forum that she and Marc were expecting their first child.